I have a new favorite shawl*. 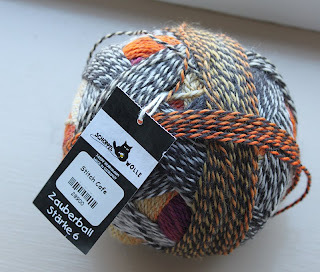 And favorite yarn. And favorite pattern. To say I love how this thing turned out would be a vast understatement. 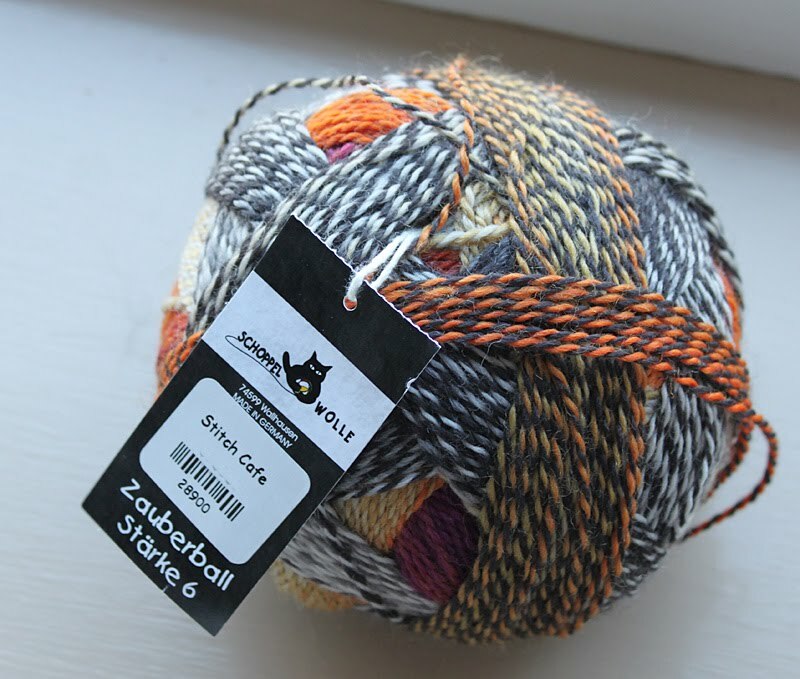 I'd never tried Zauberball Starke 6 before; I bought it as 'souvenir' yarn because I hadn't seen it in any local shops and I liked the craziness of the colors. It's now one of my all time favorite yarns. Very soft, colorful, easy to work - and makes quite the dramatic statement. 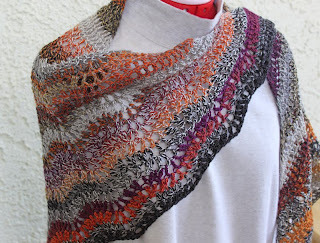 I'd make another shawl with it - if I could find anywhere to buy it locally. May have to take another road trip to N. Hollywood just for a Zauberball fix. And I've already started another shawl in this pattern using some yarn I've had stashed for awhile (yummy alpaca silk). But I do have a bone to pick with Bernat Design Studio. What's up with the lack of descriptive names - this pattern is called #4922 - and the crummy pattern pictures that show no details at all of the stitch pattern?? 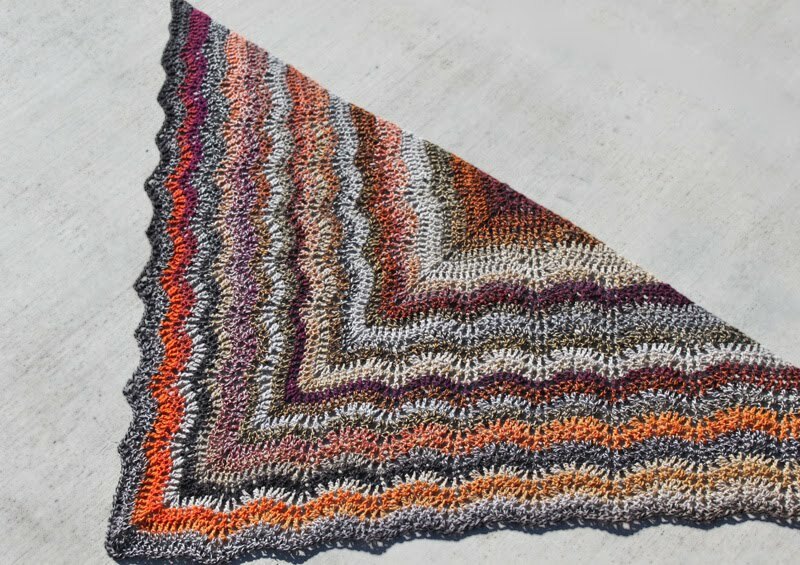 If another Raveler hadn't started this and posted pictures of her gorgeous project, I never would have considered using this pattern. And that would have been a real shame - it's a great pattern, well-written and easy to follow, and makes a beautiful shawl. Did I mention it's my new favorite? 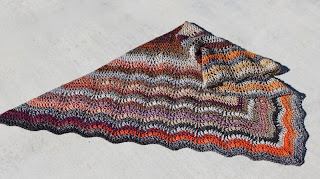 *I've lost count, but I think this is #13 for my 10 Shawls in 2010 challenge. Or 14. Definitely more than 10 though. 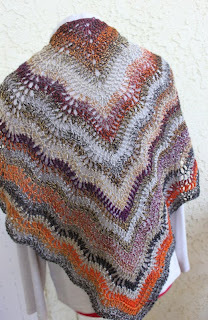 I was wondering how you are able to pull such stunning shawls out of patterns that I would never give a second look too. 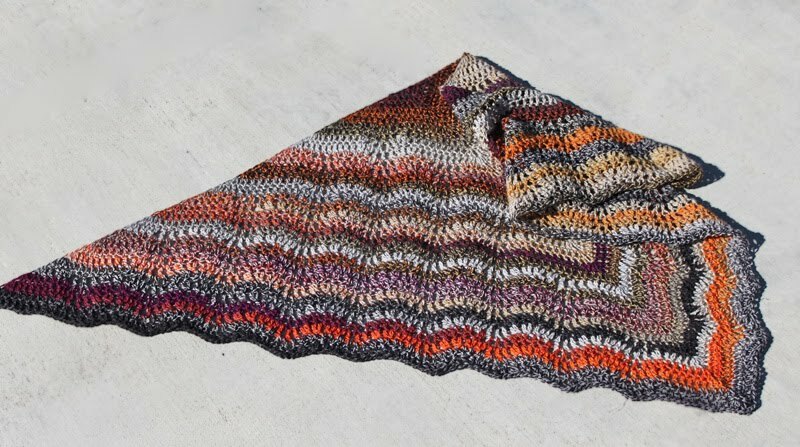 Thank God for Ravelry and members that actually post there projects! I believe it is #14 and I LOVE it! This shawl is somewhat avant-garde, but not too out there to wear every day. It looks like a great wear-with-everything kinda' piece. I must agree that being able to browse Ravelry patterns and projects is one of my counted blessings this year.